Avast has made some interesting changes in recent years and it has made bold attempts to simplify its user interface. By merging shields and attempting to be an all in one solution Avast is racing to the top of the market but for all of the wrong reasons. From that list it sounds like the program has made considerable improvements and would be amazing. However, none of the features that they claim are unique are actually unique. In fact companies such as Baidu, Bitdefender, and Qihoo have had these features for a long time. The Home Network Scanner was their major release. The Avast blog says that the following regarding the Home Network Scanner. Avast identified a growing area of insecurity close to home (actually right in your home! ): Your home Wi-Fi network. Easily hacked passwords make home routers an effortless entry point for hackers or even free-loading neighbors. Avast 2015 security solutions include the first-ever home network scanner, which will help you prevent hacker attacks on your router and network. This can lead to an incredible misconception by the users. The Home Network Scanner or as known by other antivirus programs as the “Wifi Scanner” will simply test if the network is using a password or not and if it is the network is secure. If it does not then it is not secure and it recommends finding a secure network. This feature actually offers nothing in terms of protection that you didn’t already know. One Click Smart Scan simply is a quick scan from Malwarebytes. It will check what’s running on the computer, tell you the software that you need to update and if your network is secure. Nothing special has been added here and it is far from unique. Avast does have really high protection scores or at least in the lab. Avast consistently scores higher than most antivirus programs and averaging in the 4.5 – 5.5 range. They are not the best, but they do score high enough to pass the test every single time. Avast has really been lagging behind in performance especially with its latest release scoring a 3.5 out of 6 on the performance test Avast has considerably reduced the effectiveness of the machine that it is on. This might be because of all the bells and whistles that the program tries to push but it is also partly due to it not being optimized. Most users are willing to exchange speed for protection when they don’t have to. 360 Total Security not only scores higher than Avast, it offers the same features and is more user-friendly. 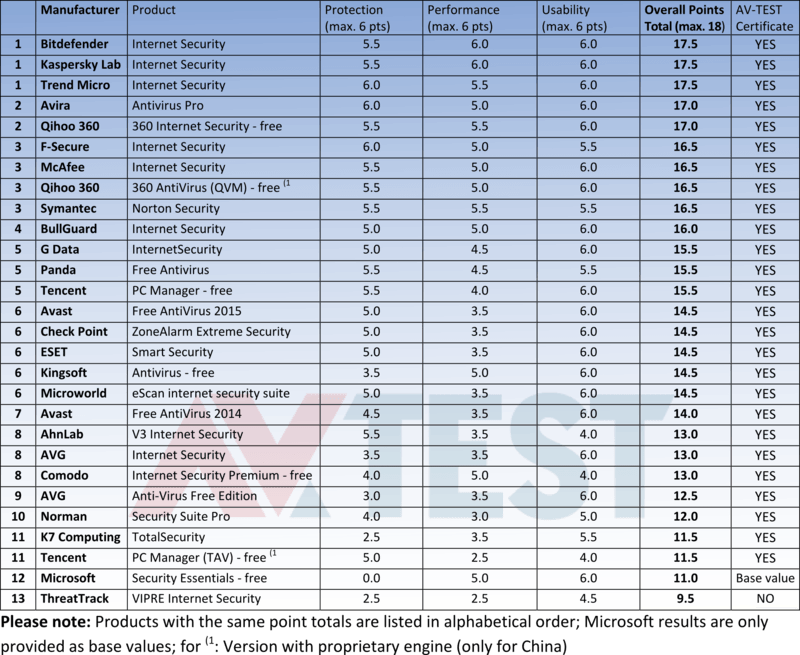 The program also consistently scores higher than Avast on the protection test. While Avast has done well in the past it is simply lagging behind the competition that it has tried to succeed. If Avast wants to stay ahead of the competition than it needs to innovate and to reduce the performance impact. They also should drop the requirement of an Avast account, and remove their self-promotion within their programs. Avast is a particularly average antivirus program. The user interface is clunky and its slowly falling from grace. That being said, it still has a lot of free protection features for free users especially if they use an email client.